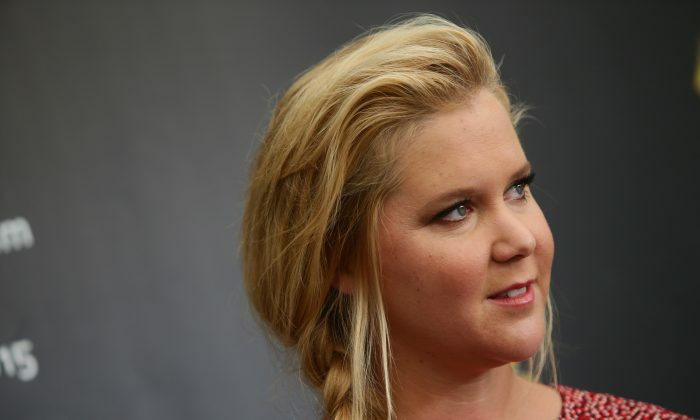 An act of kindness can go a long way, and the comedian and actress, Amy Schumer, proved just that on March 20 to a group of bartenders. Schumer attended the broadway show, Hamilton, with her boyfriend, Ben Hamisch, and reportedly left a $1,000 tip on a $77 bill for bartenders who were working that night at the theater. The average hourly wage for a bartender is $10.36, and the average yearly take-home is $21,550. “I was very touched, it was just something so generous and so kind that you don’t see every day,” Madeleine DeJohn, a bartender at the Richard Rodgers Theater in New York, told the New York Daily News. DeJohn, an aspiring actress, said it was not the first time Schumer has left such a generous tip at Hamilton—prior to Saturday’s visit, she once left an $80 tip on a $40 bill. When DeJohn thanked Schumer, the actress casually said, “I’ve been there. I get it,” DeJohn told the Daily News, referring to the time when she also waited tables and bartended in New York City before launching her career. According to the Daily News, the $1,000 tip was split between six lucky staffers—also aspiring actors—who were working the bar that night. The average hourly wage for a bartender is $10.36, and the average yearly take-home is $21,550, according to the Bureau of Labor Statistics. In most cases, a bartender’s income consists of mostly tips—around 55%, according to Investopedia. In some states, employers would pay bartenders as low as $2.13 per hour—they are not required to pay their bartenders the minimum wage, according to Gold Star Bartending—thus leaving bartenders relying almost entirely on their tips to make up the difference.